So...the Waterstones buy-one-get-one-half-price thing happened. I'm not sure I should be allowed to go in there anymore but I can't seem to walk past one without popping in 'just to have a look around'. Either that or I should just give all my pennies to them at the start of the month in return for all of the beautiful books! Over the last couple of months I've heard a steady stream of incredible things about this book so it made my list of books I'd like to read pretty much straight away. I had a quick peek at a few reviews over on Good Reads and it seems to be quite a divisive book. I think I'll either end up loving it or feeling a little disappointed and I'm keeping my fingers firmly crossed for the former because it sounds really promising. The book begins with Allan deciding to ditch his own birthday party that everyone will be attending by climbing out of the window still wearing his slippers. He sounds like my kind of guy! On his journey he meets a plethora of characters including incompetent police and a few criminals. Allan's earlier life is also revealed like his involvement with some pretty key events of the twentieth century. I'm hoping that I love Allan as much as I think I will and that this is the feel-good book it has the potential to be. I mentioned the other day that I'm not usually too fussed on book covers, but when I come across a beautiful cloth-bound edition like this (complete with bookmark ribbon! ), of a book I've been wanting to read for a little while...it seems that I just can't help myself! This is a Waterstones exclusive edition (I think!) and as it was part of the buy-one-get-one-half-price offer, I figured it would be rude not to, right? I don't know too much about this story and I don't want to. Sometimes half the magic of discovering a book comes from diving in without knowing too much about what to expect. It follows William Stoner, someone who is supposed to study agriculture and work on his father's farm, but a seminar on English Literature steals his heart and changes his life. He becomes a teacher, marries the wrong woman and has a quiet life. Stoner, in exploring the conflicts, victories, and defeats of the human race that go unrecorded by history, reclaims the significance of an individual life. I have a feeling this could be a book that stays with me. I'm hoping that there will be a couple of paragraphs in particular that I can fold up and store in a little compartment inside my head to open and reread during times when I might need to remember them. When I'm free from this essay, this will be the book I pick up first. Both of these are on my wishlist! This month has had to be a no-spend one for me (thanks Christmas), but the January sales, in particular the Waterstones one, are keeeeeling my ability to be restrained!! Allan sounds like my type of guy too, hehe <3 The way he decides to boycott the celebrations made me giggle and it sounds like a must read! I like that Stoner has quite an enigmatic vibe, one that definitely makes you want to explore the pages within! Hope you enjoy reading them both! i've never heard of either book but the 100yearold man book sounds like something i'd really enjoy - i like him already!!! :) think i'll have to buy this and add it to my list on kindle! You will love Alan! I adore this book, so funny and yey it's going to be in film! I like the sound of Stoner. After my experience of the fault in our stars, I feel inclined to avoid overly hyped books. 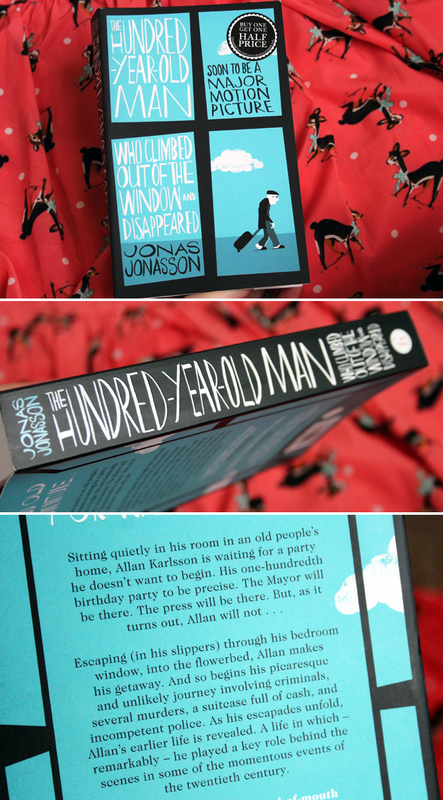 I've got my eye firmly on The hundred-year old man (...) - it sounds like such a beautiful story! 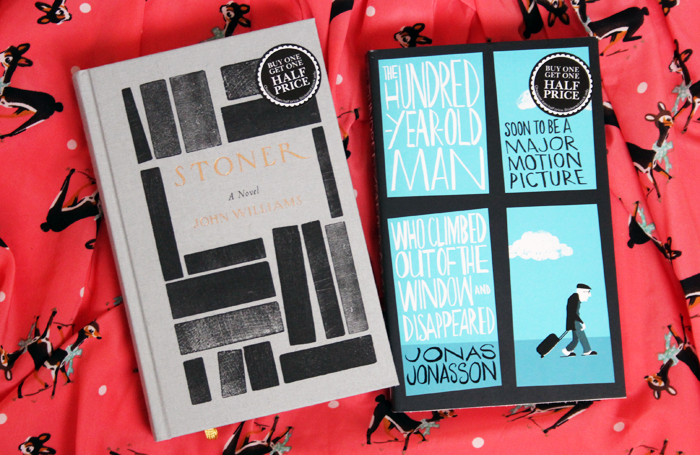 And Waterstone's buy one get one half price deals always get me as well, haha! Stoner looks like my sort of book, and it looks great too! Nothing beats the feeling of sitting down to start a new book! I'm in the "not sure" camp with the 100yr man one, but I'd be interested to see what you think. I'm a little over halfway through the 100 year old man, and I'm in the love it category. It's cleverly written and you learn a bit about history as you go through, bonus! I think I saw someone else recommend Stoner. But personally I'd love to read the hundred year old man. It sounds really interesting and a little humorous? I'm really curious about stoner, heard so much about it! I might read it for school, guess it's pretty interesting! I liked The Hundred Year Old Man! It did get a little on the slow, repetitive side towards the end but I thought the premise was really good so it's worth a go. I did pick Stoner up during my last Waterstones excursion, but the lack of synopsis on the cover meant I was wary of parting with my money not knowing what I was going to be reading. I know a few people who are going to be reading it though so if I hear good things I might go ahead. I can't wait to hear how you get on with Stoner, it's on my reading list too. And what a gorgeous copy of it! I haven't read either, but the 100-year old man is loaded onto my Kindle at the moment. Haven't had a chance to read it yet! I didn't realise it was such a hefty book--I feel like I got a real bargain for my £1.99! 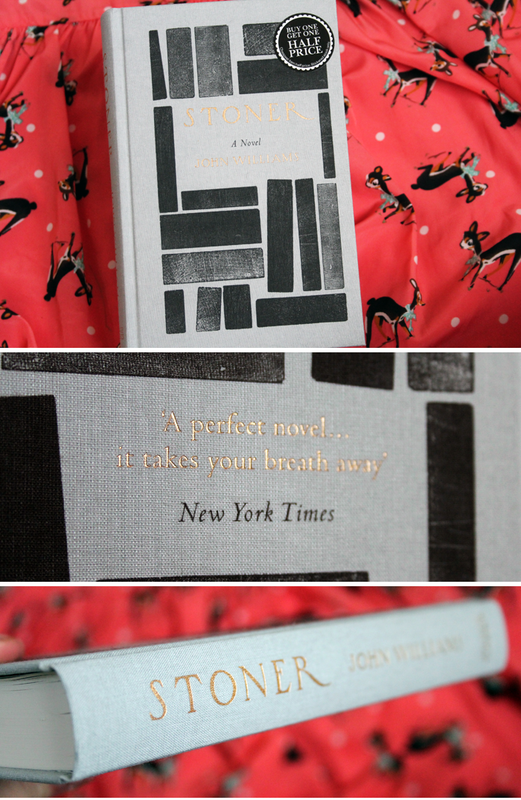 If these books are half as amazing to read as they are to look at, then you will definitely be having a good time! 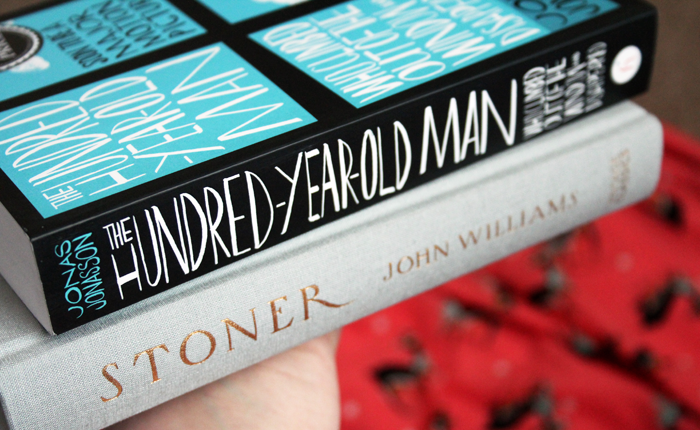 I haven't read either of these but they are both on my TBR, and the hundred year old man is actually sitting on my eReader waiting to be read. I have just been listening to it a little bit on Radio 4 (feel so old saying that haha) and it sounded great and really made me want to pick it up and start reading, so I will be interested to see if we both enjoy it. Im seriously a massive book cover sucker! HA! I get drawn in and then hope for an amazing novel, Which offcourse doesnt always match, Never judge a book and all that !